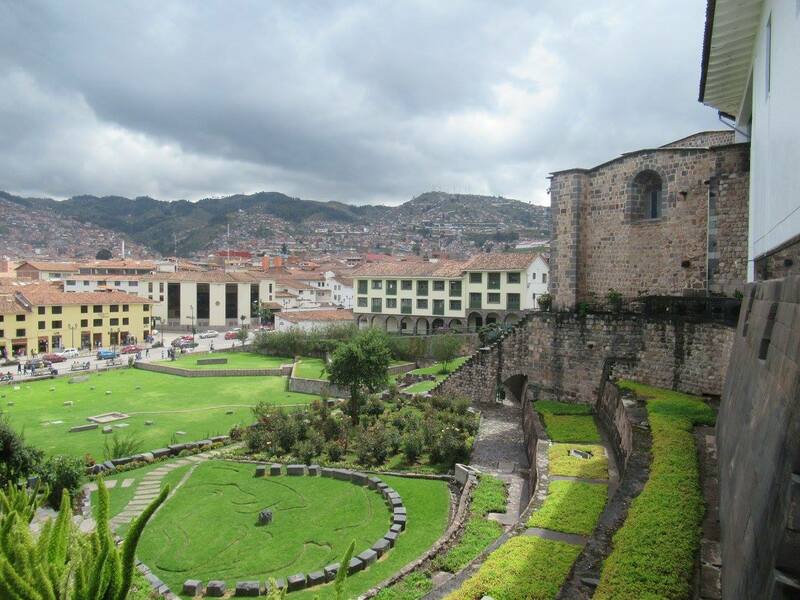 From Titicaca to Cuzco – Always Look Back ! 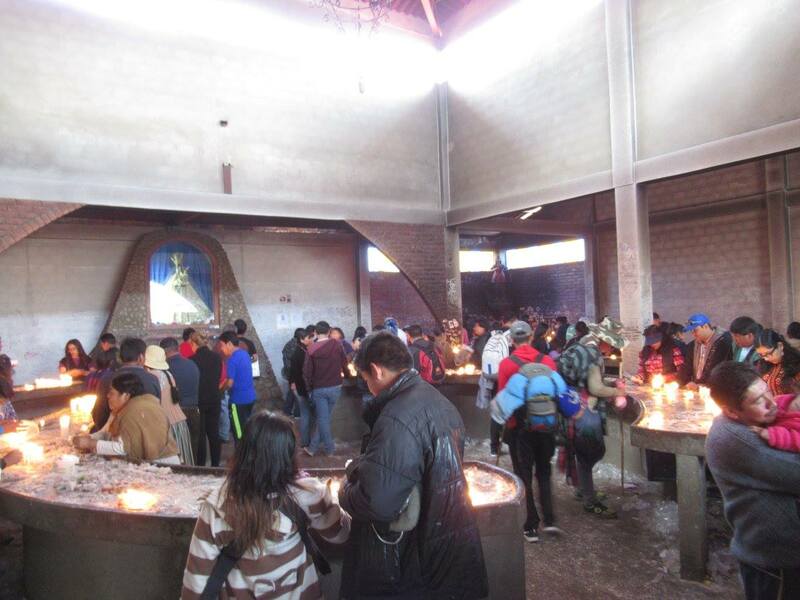 From La Paz I directly took a “colectivo” to Titicaca Lake: a taxi from the airport first left me at the bus terminal El Alto and I joined other 9 bolivians for a 4 hours trip! 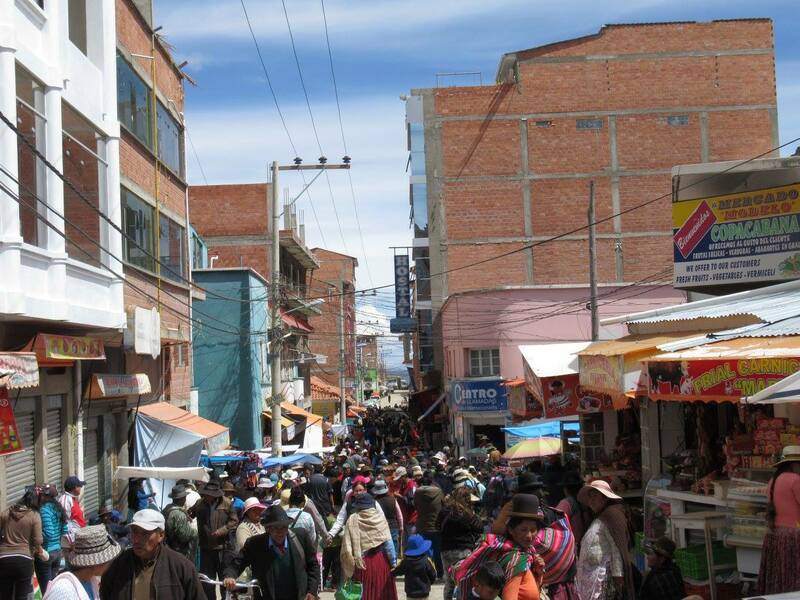 Arriving to La Paz by night, I booked a ticket for la Isla del Sol the day after, and slept in the first hotel I found (very easy and very cheap – 4 euros a night). The day after I visited Copacabana from 8am to 1pm (hour of the boat). It’s not a big city but it’s very nice and authentic. I had the chance to participate to the blessing of cars, very typical! 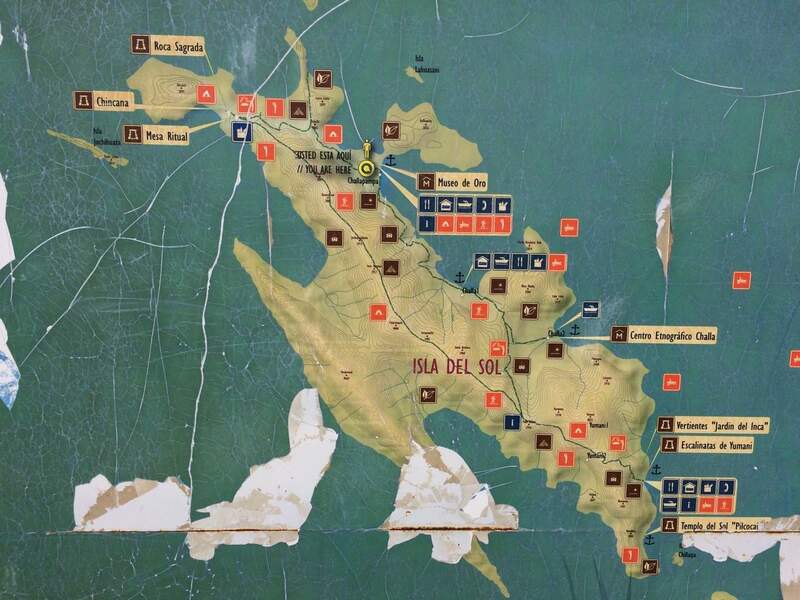 There was only two options to go to Isla del Sol: in the morning (8am) or in the evening (1pm), and same to go back (10am and 15pm). 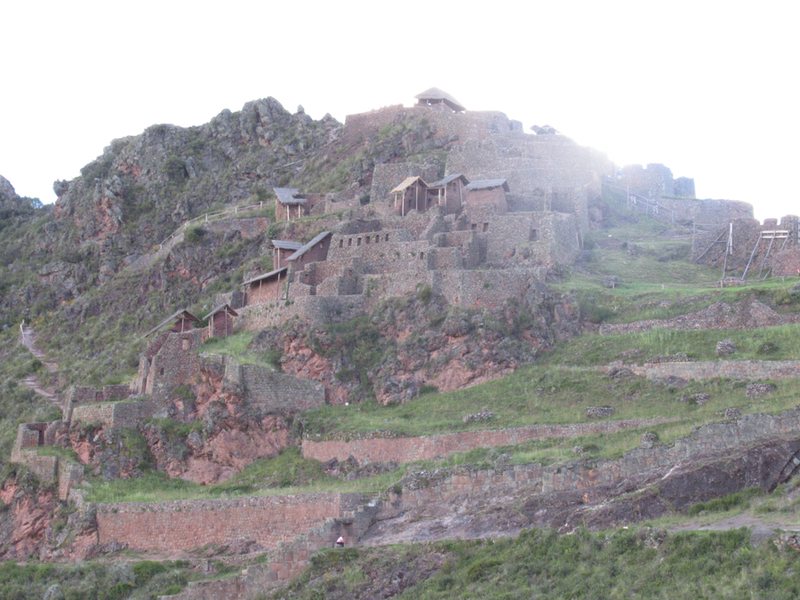 The second problem was where they left me (after two hours): the south port (Yumani) instead of the north one (Chinkana), where you actually can see the most interesting ruins. The locals people told me there was a conflict between the three communities and the North were blocked. So I suggested with a group of travelers I met there to wake up early and pass the controls before the sunrise… And it worked, leaving at 5.30am! 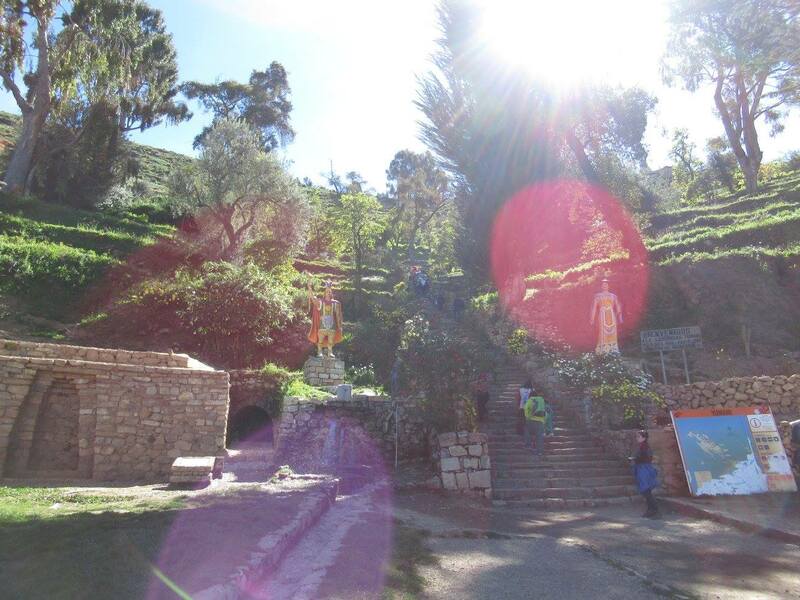 After approximately 9km and 3h walking we finally discovered a sacred stone, a ritual table (for the sacrifices of lamas) and the ruins of Chinkana, a huge village / fort / labyrinth! It really worth the pain – because walking at 3800m is a challenge – and we decided to go back from the other way, longer and around the coast… Going up and down the hills… If you’re not sportive I would suggest to go back from the same path! 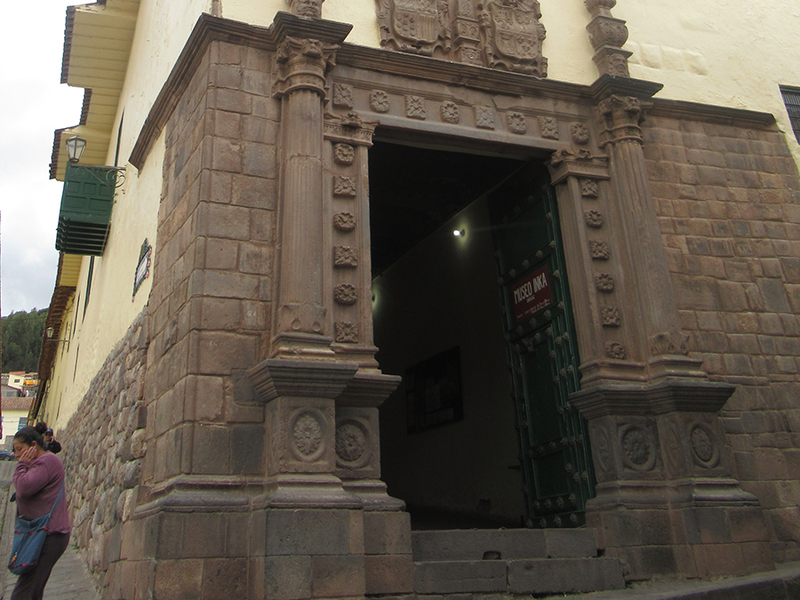 We were back in the south just in time to take the boat (you can ask to take one which stop to the small ruins in the south), and I directly took my confortable night bus to Cuzco. 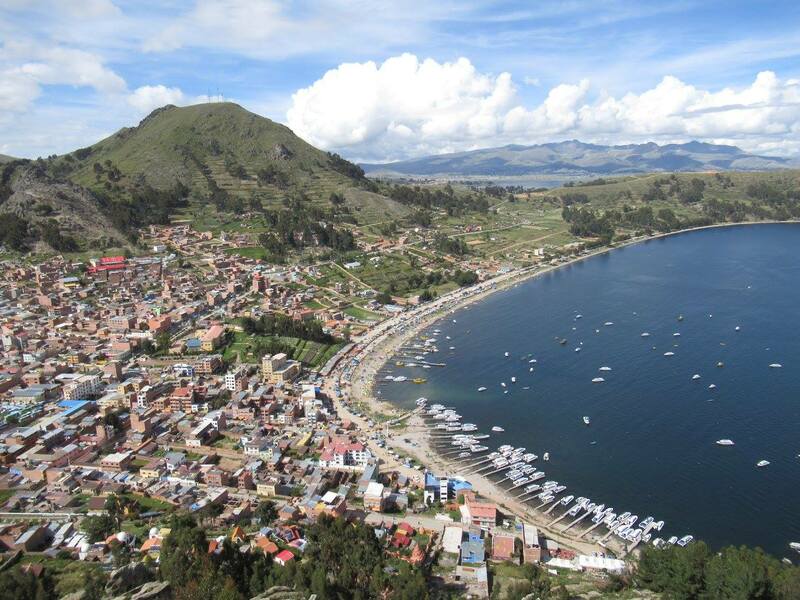 In Copacabana I didn’t have time but you can also take a trip to islas flotantes (floated island) and Isla de la Luna (Moon Island) where there are some ruins. 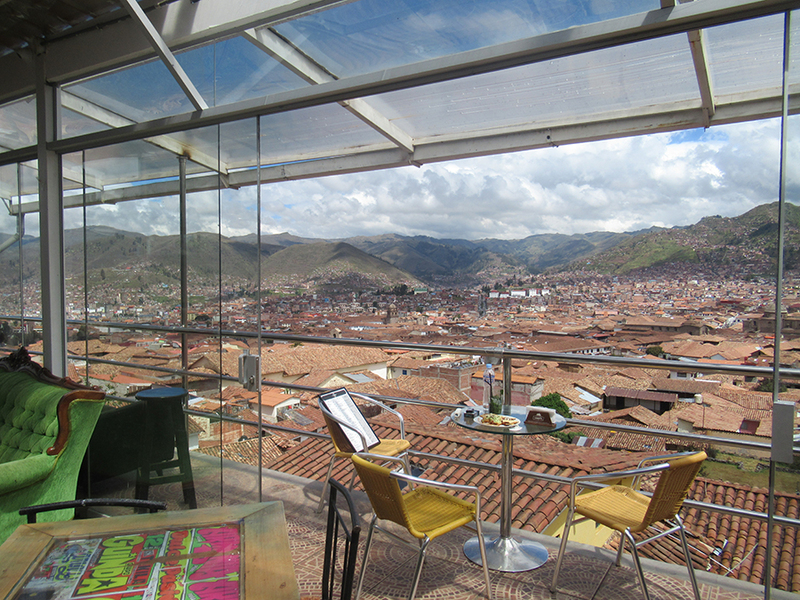 I neither had the force to go to el Horca del Inca, a second hill but it seems to offer a great view of the city! 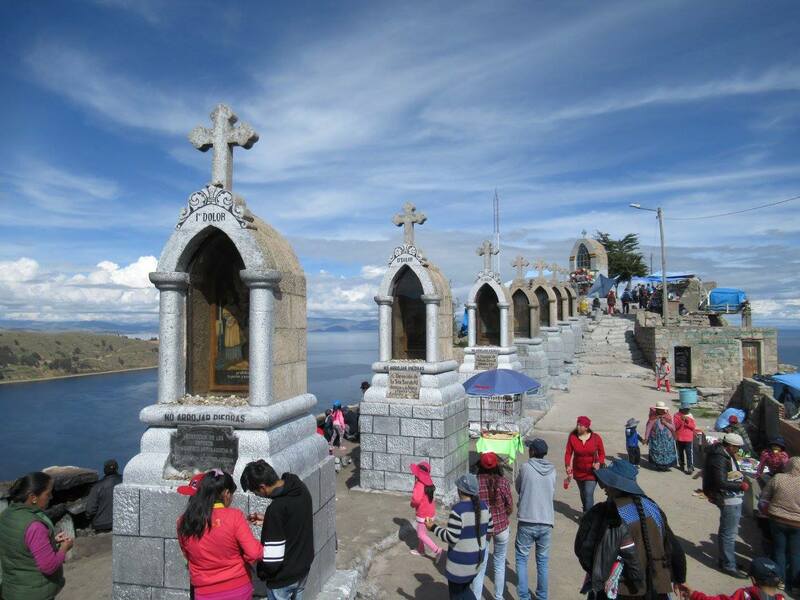 – To fight the altitude: Walk quietly, drink a lot (of water…) and use coca leaves (take three, fold them and leave them in your mouth between your teeth and your gum). 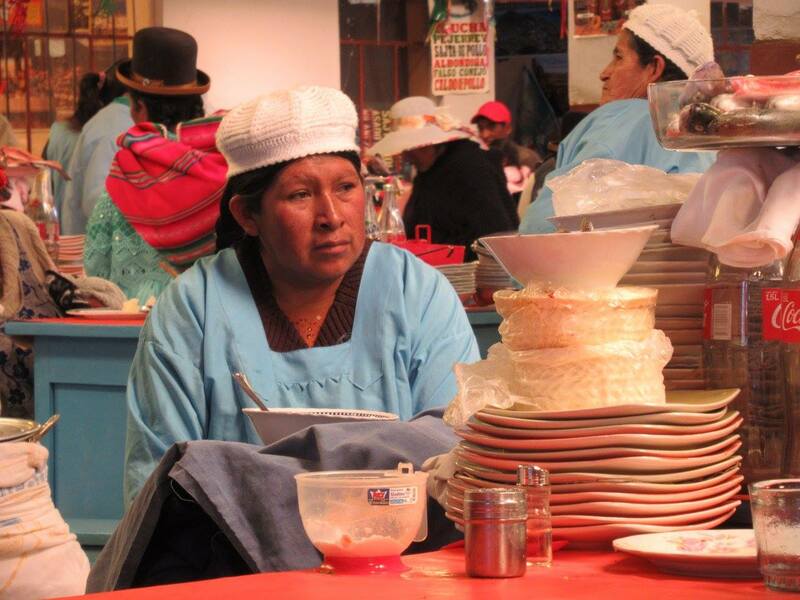 – Always negociate the prices in Bolivia! 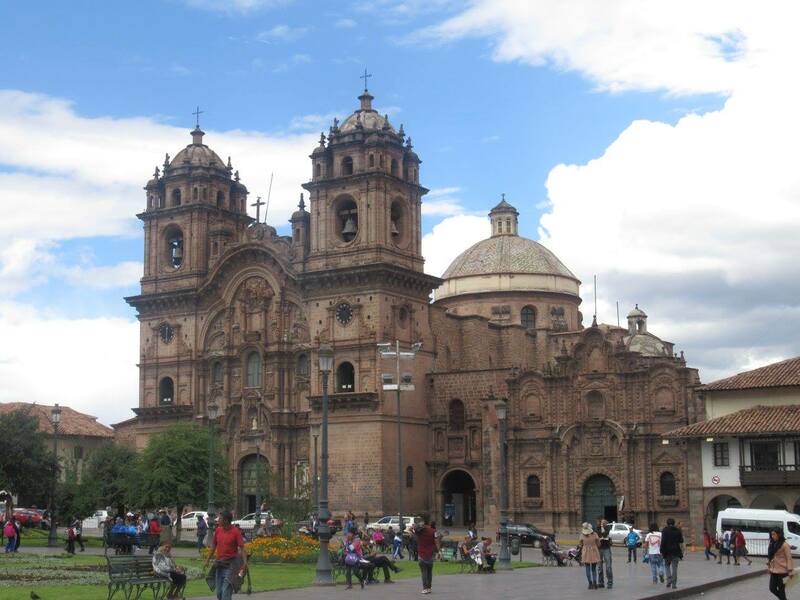 Arrived to Cuzco I followed Luciana, one of the argentinian girl with Johann, the martinican, and we met Ana, an other Argentinian! 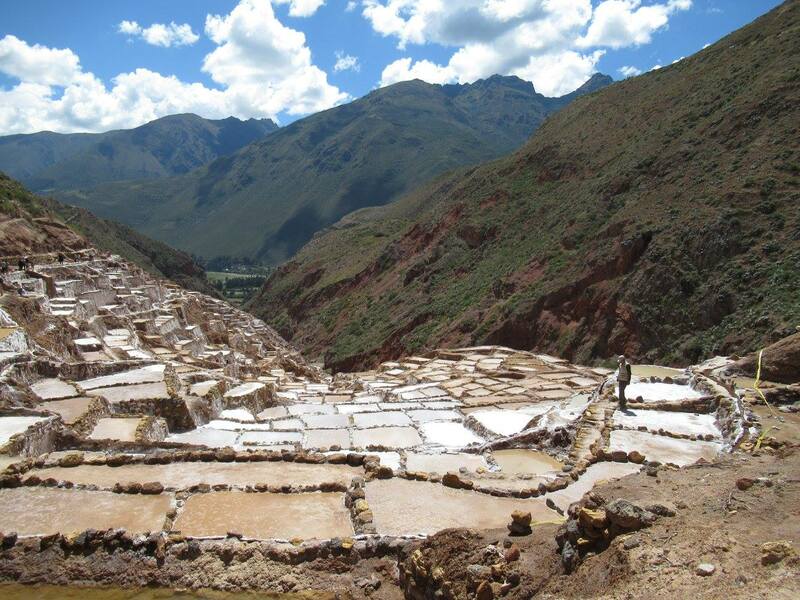 We booked an hostel and met a guide recommended by Lupi which sold us a 1 day tour of Sacred Valley, 3 days 2 night for Machu Pichu and 4 days to Choquequirao. 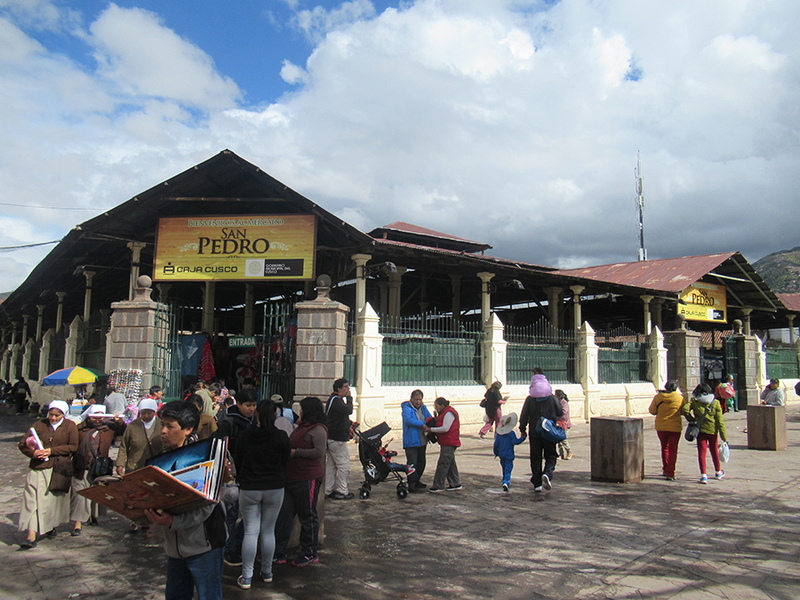 Early in the morning we took the bus until Hydroelectrica (7 hours), we arrived by noun, took a break to lunch and followed the railway to Aguas Calientes (3 hours walk, but you can also take a train from Cuzco to Aguas Calientes). 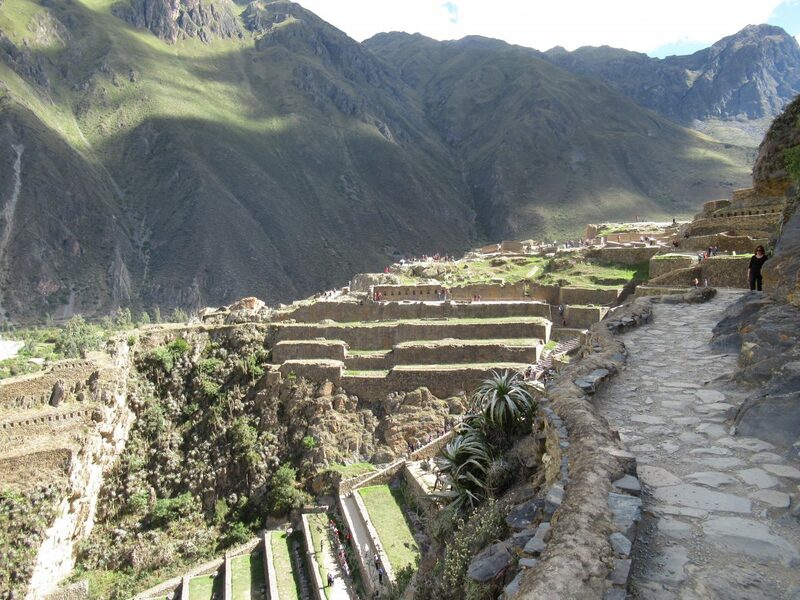 The second day we walked up early to go to the bridge where you start to climb 1h30 to the Machu Pichu. They opened the gate around 6am but there was already a big line at 5… Arriving on top we had to wait for a group to start the tour at 8am. Honestly we escaped very quickly with Luciana to visit at our rythm. So we missed the explanations, but we really passed an unforgettable moment! Johan had the patience to follow the group and told us it was interesting but very calculated to lead the group close to the exit after 4h visit. 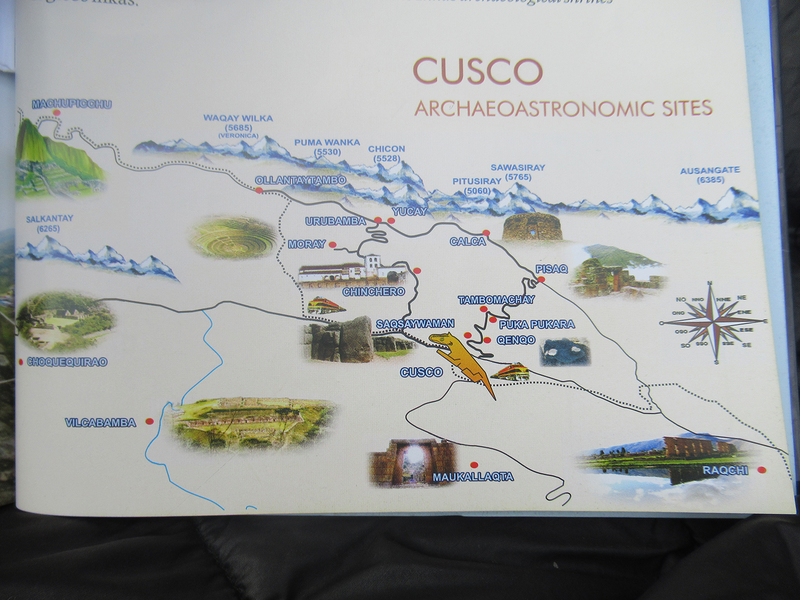 We get back around noun to Aguas Calientes and took rest, drinking great Pisco Sour(s). The third day we had to go back to Hydroelectrica to get our bus at 2pm, and made a stop in a nice parc where you’ve got typical plants and a nice waterfall (Cataratas de Mandor, not really crazy). It tooks 9 hours to go back (by night it’s slower). 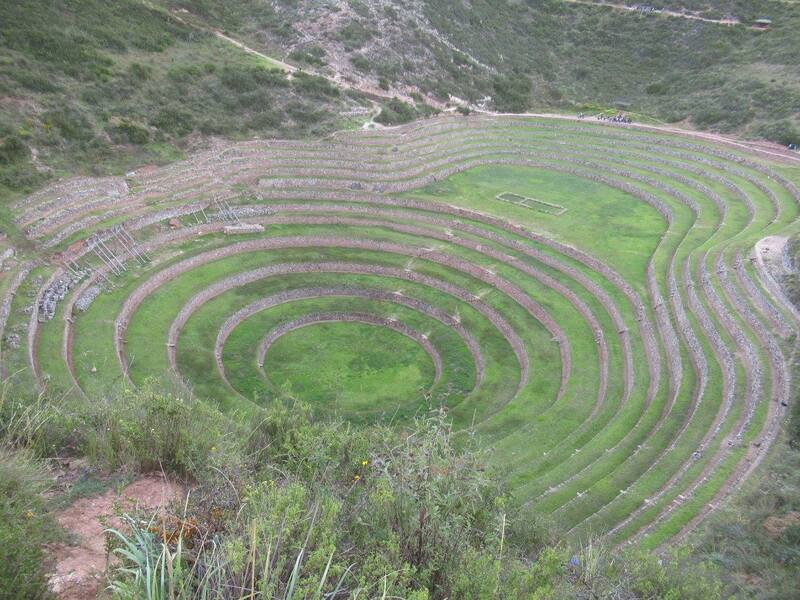 – If you have time and force, follow the end of the Inca Trail to have an amazing view of the site! 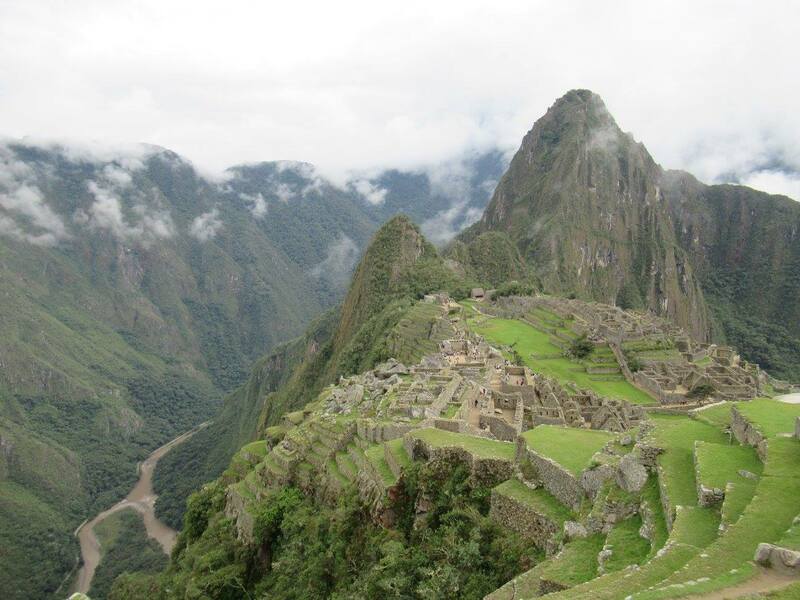 – You can also do this trip with just one night, but you need to leave the Machu Pichu at 11am to get the bus to Hydroelectrica on time! 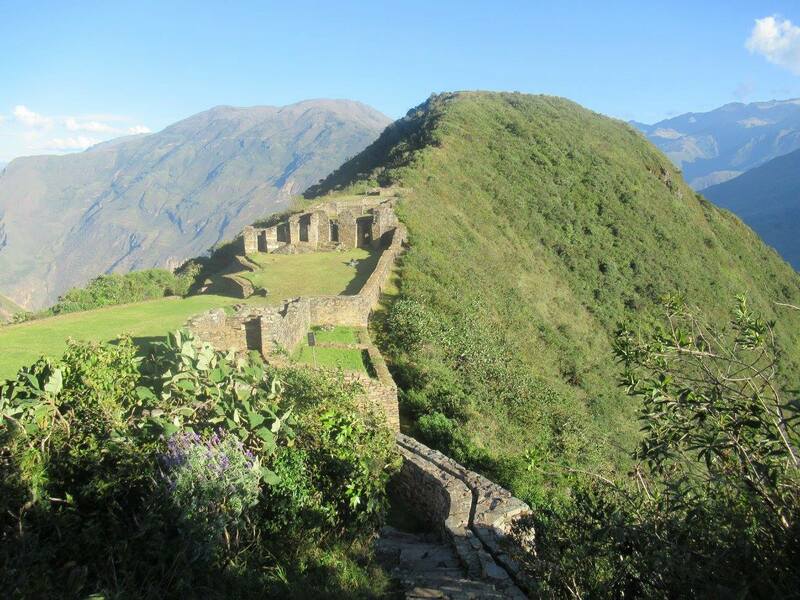 Choquequirao is the last inca bastion, hard to access so empty of tourists (big diference from Machu Pichu)! It was great to have a guide to lead us, but his plan didn’t allow us to have time to visit the whole site (a shame when you know you passed through the 6th deepest canyon of the World to get there). 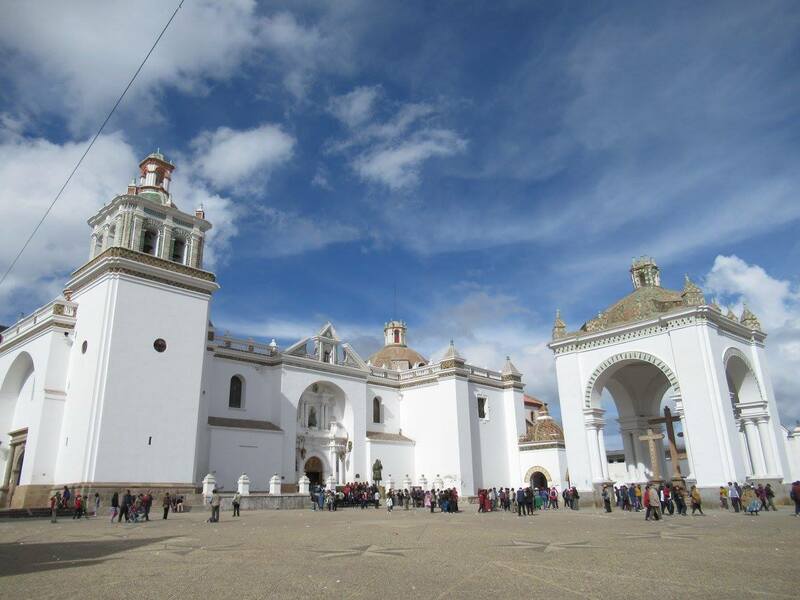 1st day you leave Cuzco and take the bus direction Abancay until Cachora crossing (around 4 hours), then a taxi to the entrance of the trek path (one more hour). From there you start walking, we chose not to rent the service of horses to carry our backpack, BIG MISTAKE. This day we went down the hill (9km, 1600m of negative level) until a bridge, and climbed to Santa Rosa Camp (3km, 700m positive) in about 7 hours. 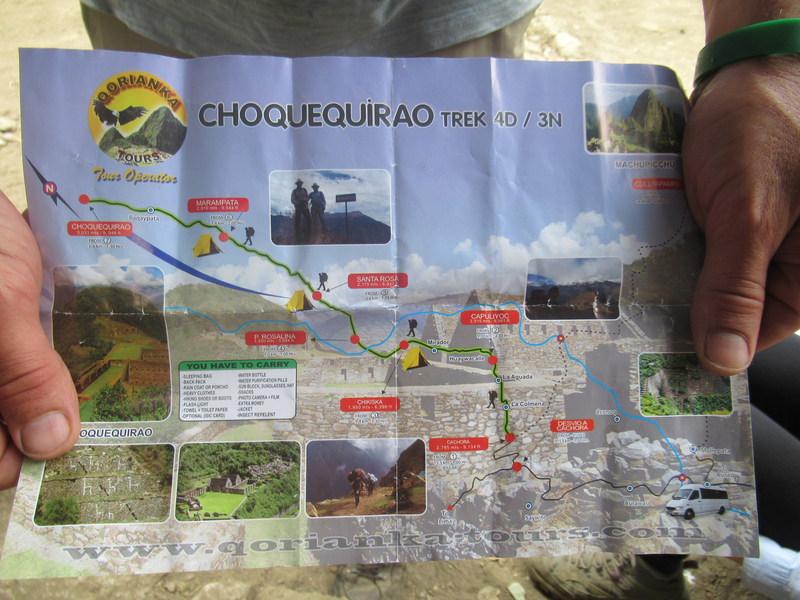 The second day we paid a horse to carry our bags, really too heavy to climb this huge mountain… After two hours, 4km and 1000m positive level we arrived to Marampata and saw far far away Choquequirao. We prepared the camp for the other night and took back the walk… After others 5km and 2h you finally arrive to this huge site. It’s really hard for me to describe those ruins… I will just share with you those white qwarts lamas you can see on one of the hill… We passed around 3 hours there, but didn’t have time to visit everything sadly… We needed to go back before the sunset and couldn’t stand an other day… So we went back to the camp arriving by night. The third day woke up at 6am to start to go back to Chiqisqa, one hour after the bridge to take a deserved break! 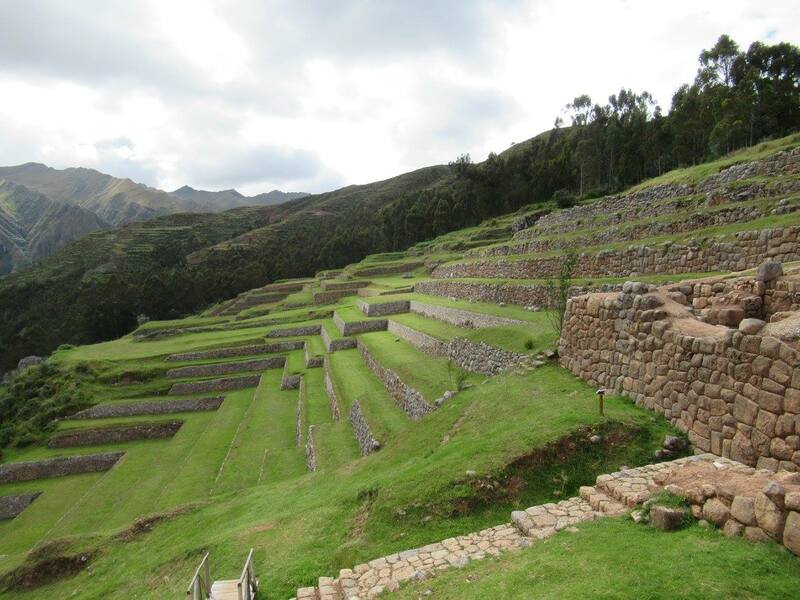 From 11am it’s really hard to walk so we started the last day at 5am by night to arrive by 8 on the top and we asked a driver who left a group to start the expedition to bring back us to Cuzco. This trip is the hardest I’ve ever made but it’s also the best in my life! 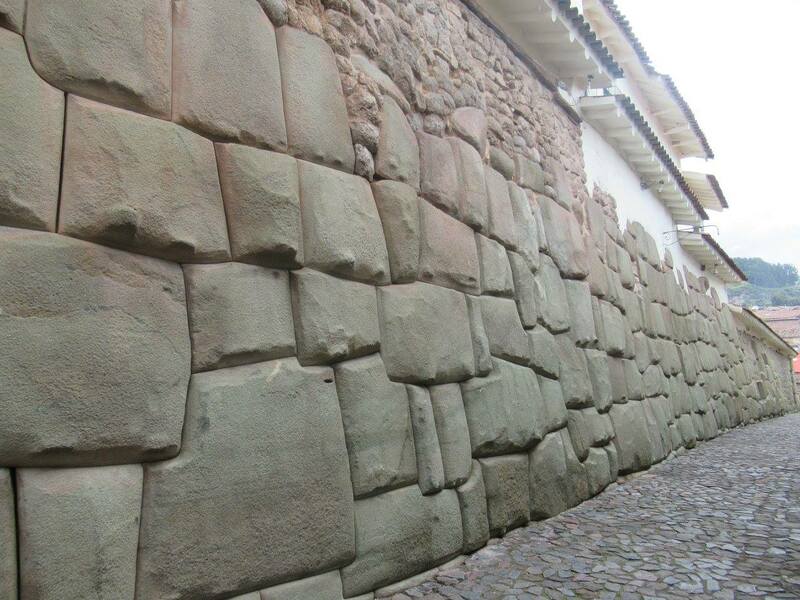 – I didn’t have time to fully visit Sacsayhuamán in the north of the city, but it’s definitly something to do!